The first reading says there will be no poor among you and, a little later, the poor will never cease out of the land. So which is it? 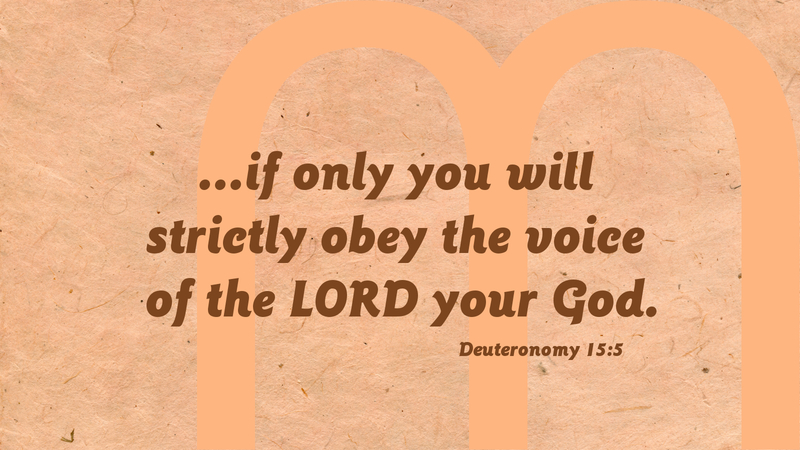 There is a condition given for having no poor among us: “if only you will obey the voice of the Lord your God, to do all he commands.” We don’t like conditional promises. We want God to promise and then make it so. However, we often forget that his covenants are based in a relationship. In every relationship, there is mutuality. Mutual love means we commit our whole selves to the welfare of the other person or persons in the relationship. Therefore, every brother and sister in Christ is bound in mutual love for the sake of the welfare of the whole community. As we obey the commands of God, summarized in the Golden Rule, we will take care of each other, sharing out of our abundance with those, who for whatever reason do not have the necessities of life. We give in a way that meets their needs, with proper boundaries and cooperation. Remember, the love is mutual. Prayer: Dear Lord, fill us with your Spirit of love and compassion so we may love each other the way we have been loved by you. Amen.